Where do I start?! 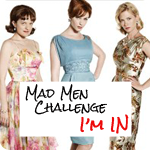 The wonderfully talented Julia Bobbin set a challenge for us sewing bloggers to recreate an outfit from the iconic TV series Mad Men. I have had so many ideas for this challenge my brain started to hurt. 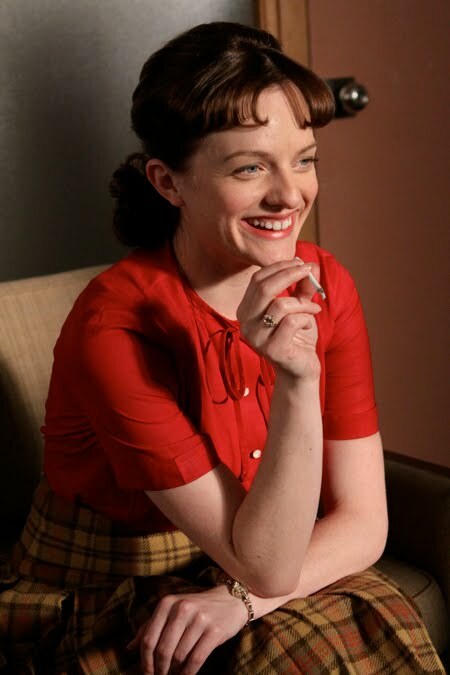 I already knew that I wanted to recreate a Peggy Olson outfit, and I also knew that I had to be as practical as I could and try and use up my stash rather than buying more fabric/patterns (as tempting as it is!). Seeing them all lined up together it all looks a bit dark & dreary doesn't it?! After scanning through stills of episodes on the inspirational site Tom & Lorenzo﻿ I finally decided on an outfit that not only is very bright and vivid, but is also an outfit that Peggy herself has two of her most defining moments in. It first features in Season 3 Episode 3 'My Old Kentucky Home' when she is having to work at the office on the weekend. With her are Paul & Smitty, who decide to invite a college friend over who also happens to deal pot. Peggy decides to get high with the boys, and as such finds herself incredibly productive & creative while the boys become eventually comatose. It is also the outfit from Season 3 Episode 13 'Shut The Door. Have A Seat' in which Dons visits Peggy at her home to tell her how much he needs her, and how valuable she is to him. He gives her what she has been craving, recognition. To recreate this outfit I already have a top extremely similar to Peggys which was thrifted a few months ago. For the skirt I am using the bottom from Vogue 5308 (1961 according to vintage patterns wiki) which features the inverted pleats. So there it is! What will you be making? Oh, I do love this outfit of Peggy's! The inverted pleats on that skirt are so cute...combined with the houndstoothy plaid you've got, it's going to be an adorable skirt!